This is the second time that I have booked and stayed at the nautilus and each time I had good experience calling to speak with the service team. This time I actually needed to make a last minute change to come a day earlier and the woman who assisted me was very kind and accommodating. We have stayed in the same room/ condo twice now at the nautilus and each time it was clean, and well maintained. We loved the condo we stayed in and we're excited to book again in the near future. Thank you! 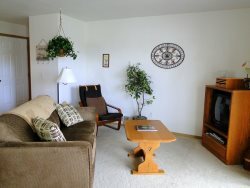 Loved the at home feeling while on vacation, will definitely stay here again while in Ocean Shores.